Sunday, January 8th, 2012, was set aside as as the first National Choir Appreciation Sunday. However, since appreciation, thankfulness, and encouragement are always appropriate at every time of year, such an event is a good reminder for those who lead in Music and Worship Ministry to also demonstrate leadership in expressing their thankfulness publicly for the volunteers who give so much of their time and energy to participate in Choir and other Music Ministry organizations. Remember that the designated date for Choir Appreciation Sunday is not the only time that you can plan an appreciation event for your choir or for all of your music ministry participants. January may not be the best month for such an event at your church. It can be difficult to come back right after Christmas and plan a large musical event within the month. So, if you want to plan an Appreciation Sunday event for your Choir(s) or for all of your Music Ministry volunteers (musicians, tech team, drama group, etc), good planning is essential. Here are some suggestions and ideas that you may want to consider or implement. 1. After you have formulated some plans in your mind and before you do any publicity, share your plans with your Pastor and at Staff Planning Meeting. Your Pastor and fellow Ministers may have some ideas that will be helpful guidance for you in selecting the best date to have such an emphasis and also some ideas about how to proceed with planning that may give a boost to your own creativity. The primary thing that you need to stress is that you want to say “thank you” to these faithful Music Ministry participants without taking the focus off of our mighty God, who is the Source of music, the Giver of gifts, and the reason we sing. Remember that you do not have to stick to the January 8th date if that does not allow enough time for preparation right after the Christmas holidays or work well for your church, your groups, or your calendar. Flexibility is key. 2. In doing your planning to prepare for meeting with your Pastor and Ministerial Staff, pray for direction. For example, you need to determine whether to make this a Music Ministry Appreciation Sunday or whether to just make the Choir your focus. You may have other groups that you want to include in this time of thanksgiving, such as accompanists, orchestra, handbell choirs, age-group choirs (from pre-school choir to Sr. Adult Choir and everything in between), praise teams, rhythm section, tech teams, etc. If your focus is to be for all of the Music Ministry groups, you could use a “Celebration Sunday” approach, with several groups sharing messages in song or performing together, keeping the focus on worship. At some point, you could direct the attention of the congregation to the fact that God is the Source and Giver of Music and musical talents, that He sings over us, and that He has blessed your church with some incredible volunteers in Music Ministry. You could ask the congregation to join you in thanking God through prayer for the gifts that He has given and the privelege of singing (and playing) music for His glory. Applause in thanksgiving would also be appropriate, again directed at God. At the conclusion of this focus time, I would recommend a brief statement, encouraging your congregation to verbally express their thanks to the people who are involved as volunteers in Music Ministry in your church whenever possible. stating that we all need to encourage one another, and saying that verbal encouragement to anyone who serves in any capacity within the fellowship lifts the body of Christ and draws our hearts closer to one another. Then, get back to praise and worship of the One who gives us a reason to serve, to sing, to play, to teach, and to love. Your Pastor may want to tie his message to the focus for the day, perhaps preaching about encouraging one another or about worship in general, but this is not absolutely necessary. However, your planning and communication with him gives him the opportunity to do this if he feels led in this direction. a. If you have worship banners that are not up in your Sanctuary or Worship Center all the time, consider using these to add to the celebration (of giving thanks for God’s gift of music and for the musical gifts within your volunteer musical groups) in your service that day. Or, you may want to use several weeks to focus on the attributes of God before the focused Celebration Sunday comes to pass. For example, if you have a banner that says, “Lamb of God,” make this your focus on a particular Sunday. Sing songs and read scripture that relate to the sacrifice of Jesus as the Lamb of God. Then, if you have another banner that says, “King of Kings,” make that your focus on another week. Save your “Jesus” or “Lord of Lords” or “Mighty God” banner for the final week of Celebration emphasis when you will express thanks for your faithful Music Ministry volunteers but primarily focus on the God who has formed them, gifted them, saved them, and called them to serve. b. You could also have a few Music Ministry volunteers give a brief testimony, one each week, in the weeks leading up to your special emphasis Sunday. They could tell what the opportunity to serve in this way means to them and how God speaks to them through music. c. Enter singing praises! You could begin the special service by leading a worship chorus with only your accompanists and rhythm section on the platform or in the loft area. Then have your choir come in (from the back of your Worship Center) near the end of that song or during a second, more upbeat, worship song or hymn, singing as they come down the aisles. If you involve multiple choirs, this could be especially effective; and banners that relate to worship and praise could be carried in at the front of each group. Perhaps each Adult or Senior Adult Choir member could walk beside a child from your childrens choirs, making sure that ‘their’ child winds up standing where the Childrens’ Choir is supposed to be (perhaps on risers or just in a group in front of the Youth and Adult Choirs). You could even ask the congregation to stand in worship of our mighty God and join your choirs and/or musicians in lifting praise to Him. Then, you could have an excellent trumpet player play a short but majestic fanfare just prior to the song or hymn that is used for the choir’s entrance. Fanfare guidelines: if someone else (your trumpet player, for example) chooses the fanfare that will be played, make sure he/she knows what key will work well with the hymn or chorus that is to follow, make sure that it is not a familiar fanfare (such as the well known ones used for the Olympics), and listen to it being played to give your final OK. For the choral procession, I would suggest “Worthy of Worship” as a great hymn choice or “Sing to the King” if you prefer to use a chorus. d. If you want to use your banners or media to focus on the attributes of God, you could build excitement leading up to the special Sunday by focusing on one attribute or name of God (Lamb of God, Bread of Life, Holy, or whatever your banners say) in each of several Sundays leading up to the planned special Worship Ministry Sunday. During each of these services where you are focusing on a specific attribute or name of God, have each song that is shared by whatever group focus on that attribute or name, ending with the most significant attribute(s) or name(s) (such as Lord of Lords, King of Kings, Savior, Mighty God) being used on the special Sunday, with appropriate music choices. You can also use all of your banners on that one Sunday by focusing each song or scripture reading on a different attribute or name of God (having that banner carried in during the appropriate song), ending with a “Lord of Lords” or “Mighty God” banner and focus. You could even have various lay leaders help you to end the time of musical praise by having each person emphatically state the name for God or for Christ on one of your banners; and when all the names have been pronounced, say that this is why we worship Him. He is worthy of our praise. 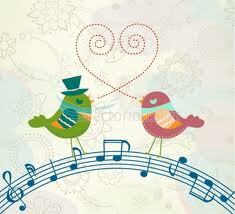 e. You could choose to have a Choir Reunion or Music Ministry Reunion be a part of your special day. If there are former members that you could contact who live within driving distance and could join you for a special Sunday emphasis, this could be very meaningful. Be sure to give them a few weeks notice in your invitation to come. This could also serve as a reminder of the ultimate Choir reunion that will take place someday in Heaven. f. Use your media capabilities to the fullest. Have pictures of your groups (in rehearsal, from special productions, serving in various ways on mission trips, etc.) that are shown on the screen as you speak about them or when they join together to sing (and play) a special worship song. h. Remember that this is a special day of encouragement and thankfulness for the people of God who use their talents to glorify God, and then ultimately direct all praise toward God Himself, who is always worthy of our thankfulness for every good thing. i. You could have a special dinner after the morning worship service for your Choir(s) or for all Music Ministry volunteers (at your church or at a restaurant). This dinner could end with a prayer of commitment to continue to use our gifts in His service. You get the idea. All that we do is worship when done with the motivation of glorifying God. k. Use a meaningful reading at some point, such as excerpts from David Nassar’s book, “Glory Revealed.” Begin reading on page 30, chapter 2, (titled ” Glory Revealed Through Conversation) under the bold print heading, “…every song we sing to the Lord is a duet and not a solo.” Read through the end of the chapter (slightly less than 3 pages). You will probably want to make some cuts in the text, such as the section on lullabies, for use in congregational worship; but this is a very meaningful passage that can change the outlook of individuals regarding worship for the remainder of their lives. Decide whether to have one person read this or to divide the lines up between 2 readers, and make sure this is well-prepared in order to be most effective. This anthem has a classical type sound. It has been sung, in an SSAA arrangement, by The Singing Churcwomen of Oklahoma, then under the direction of Dr. Bill Green, and was used at the beginning of the group’s worship concerts. This anthem is available on our WorshipSounds website’s “General Use Anthems” music page. Click the photo at right to go directly to our Worship Sounds Music website. This anthem is in the current repertoire of the Georgia Baptist Convention’s Jubalheirs, a choir made up of women who are active in Worship ministry throughout the state of Georgia, under the direction of Dr. Jon Duncan. It is also available in SSAA. “For the Glory of God” can be found on our website’s “General Use Anthems” music page. Click the Worship Sounds Music church photo above to go directly to our Worship Sounds Music website. This anthem has been sung in a TTBB voicing by The Singing Churchmen of Oklahoma, then under the direction of Dr. Bill Green, and by the Georgia Baptist Convention’s Jubalheirs, under the direction of Dr. Jon Duncan. It is a lovely ballad with a thoughtful and inspiring message about choosing to praise God in every circumstance. “Much More Than a Song” is available on our website’s “General Use Anthems” music page. Click the Worship Sounds Music church photo above to go directly to our Worship Sounds Music website. A lovely setting of the traditional Doxology lyrics with a flowing piano accompaniment, this choral anthem incorporates a portion of the hymn “Praise to the Lord, the Almighty”. * If this blog post has been helpful to you, please take a moment to comment to that effect on the referring web post or social media site so that others will know that reading it is worth their time. Please share this blog post link with others who might not see it without your referral. * If you have additional ideas for a Choir Appreciation Sunday or Music Ministry Appreciation Sunday, please add them as comments to this blog so that others can benefit from your creativity and inspiration. Thank You! * Be sure to bookmark this blog post so that you can refer back to it as you are doing your planning. There may be additional ideas from fellow Ministers of Music and Worship that will work wonderfully for you as well. 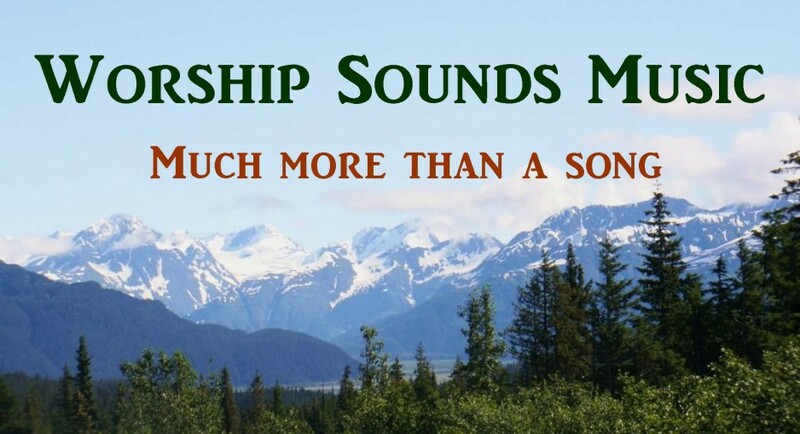 Click on the photo above to go directly to the Home Page of our Worship Sounds Music website. * FREE * Choral Anthem PDF for your Choir or Ensemble! You’re welcome! If you think of any other ideas, be sure to post them as a comment for the benefit of others. Happy Thanksgiving! Thank you! Great…especially sharing the book title. You’re welcome! We’re glad that this post was helpful to you, Ellen. Feel free to share a link to our blog with others who might find inspiration here.